As you know, we recently returned from a family trip to Disney -- head to my Instagram page for more pictures -- it was fun and exhausting! We drove down from Georgia, and while we knew bringing a stroller with us was a must, we are a family of 5 that needed tons of room in the car so we decided to rent a double stroller from Baby Wheels Orlando. Initially we were set to arrive on the same day as Matthew. Yes, hurricane Matthew! Luckily our awesome travel agent was able to switch our reservations and we were headed to Orlando two days after our original arrival date. I called Baby Wheels Orlando and they immediately accommodated my last minute date change. We left Georgia early on Saturday morning and our stroller was set to be delivered at 3pm. Due to the storm, many roads where still closed so our drive to Orlando took longer than expected. I spoke to customer service and they AGAIN arranged for a new delivery day and time. Look! All my children in ONE stroller -- plus our drinks, diaper bag and gift bags! 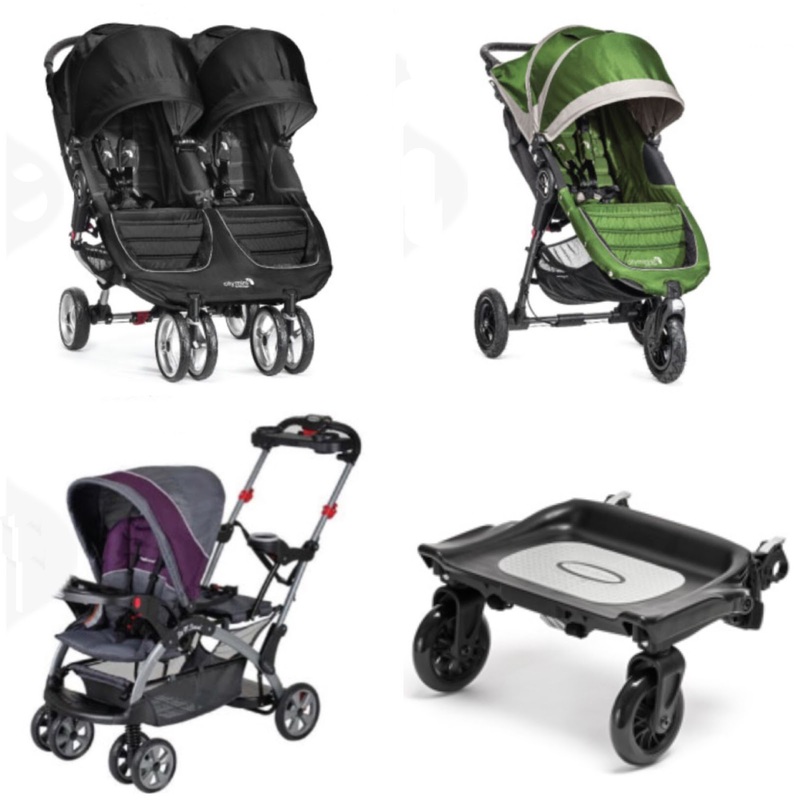 Based in Orlando, Florida, Baby Wheels Orlando offers a full range of strollers from singles and doubles to Sit-n-Stands and even travel systems. All strollers come equipped with a rain cover and a parent console -- which was super handy! BWO has the perfect stroller to fit your family needs! They also offer a variety of accessories including this glider board that we decided to get for Jack. Delivery and pick up was so easy! The driver gave us a call before he arrived to our Disney hotel and we simply met him at the hotel lobby. I can without a doubt tell you that this trip would not have gone as smoothly if we didn't have this stroller. It was roomy -- big enough for Jack who will be 6 in January -- but easy to close when taking the bus to and from the parks. The entire Baby Wheels Orlando provided us exceptional customer service and their stroller was top rate. SPECIAL OFFER If you are headed to the Orlando area - Disney Parks or Universal Studios - use code BBlog during check out and receive $5 off of your stroller rental order. Trust me when I tell you that you will not be disappointed with their service, prices and quality of their strollers. Love the doubles - I had several double buggies when my kids were smaller. the side by side aspect is best IMO as it makes it possible for both of the kids to enjoy the journey in the buggy. With the double decker we had it meant one kid was not getting the full view being stuck underneath. I would definitely recommend side by side vs double deckers and these look great!